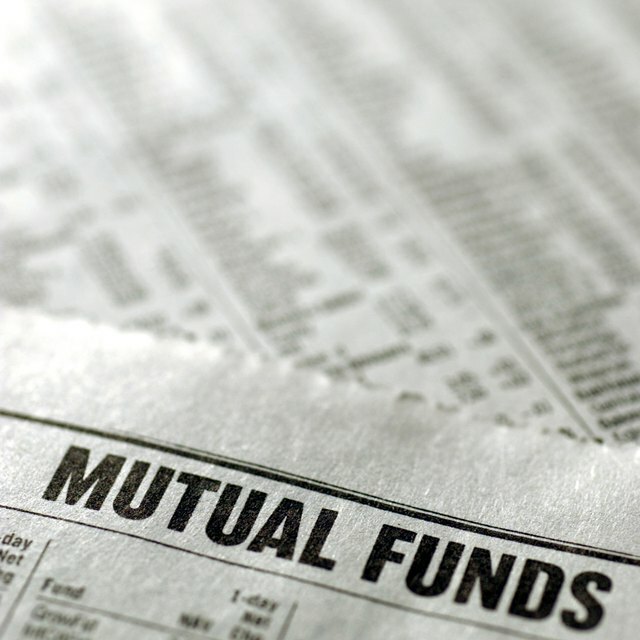 There are lots of times when cashing in a mutual fund makes sense. If you've turned a good profit in a fund, if you anticipate a decline in the market or if you've saved enough in your investment to fund a goal, then taking your money out might be a good option for you. However, even if it's a prudent thing to do overall, you may still face certain penalties for cashing in a fund. If you bought your mutual fund from a stockbroker or other financial institution, such as a bank, you might have to pay a sales charge when you cash in your fund. With some funds, you pay the commission upfront when you buy the fund and don't have to worry about charges when you sell. However, many other fund types, particularly "Class B" shares, charge a fee of up to 5 percent when you sell. Even no-load funds, which traditionally do not charge commissions, may have a redemption fee if you cash in your fund in a short period of time, such as 90 days. When you sell a fund at a profit, you'll have to pay taxes on your gains. If you cash in your fund after one year or less, your penalty will be in your tax rate. Most capital gains, such as profits on mutual funds, are taxed at a lower capital gains tax rate, which maxed out at 15 percent as of 2012. However, short-term capital gains, or those held for one year or less, are taxed at ordinary income tax rates, which are typically higher. For example, as of 2012 the highest tax rate was 35 percent, or an additional 20 percent over the capital gains rate. Cashing in your mutual fund after a short time period can result in a dramatic tax penalty. Cashing in a mutual fund means that you no longer get to enjoy the upside potential of the fund. If your fund skyrockets in value after you've sold it, you don't get to participate in those profits. Selling a fund also means that you've lost some of your investment diversification. If your fund played a specific role in your overall portfolio, your investments will be out of balance after you cash in a fund. If the fund was your only investment, you won't be saving or earning any money for your investment goals. Can I Cash in IRA CD at Any Time During Term? How Long Will it Take If I Cash Out My 401K? One of the benefits of cashing in a mutual fund at a loss is that you can use that loss to reduce your taxes by offsetting capital gains or up to $3,000 of ordinary income. However, if you like to buy and sell mutual funds frequently, you might run afoul of the wash sale rules. A wash sale occurs if you sell an investment at a loss and then repurchase the investment within 30 days. In this case, the IRS will disallow the use of your loss for tax purposes. If you trade mutual funds, it can be hard to keep track of your purchases and sales, and you could easily trigger a wash sale.